Hardwood flooring is one of the easiest floors to customize for a look that is all your own. No matter what floor you choose, don’t overlook the final touches to make your new hardwood floor really stand out. It could be as simple as the pattern you choose (herringbone, for example) or a simple border using a different shade or species. At the high end are custom designed floors, cut and fit to your taste and style. Adding borders in a different stain from the rest of the floor is a simple and fairly inexpensive way to give any hardwood floor a custom look. Borders too have become more affordable through specialty trim pieces that fit right in with your other hardwood flooring planks. Of course, you need to make this decision from the start but it adds a classic look to even the plainest floor. Often, it's as simple as buying a deeper color from the same collection you use for the main floor. As discussed earlier, medallions have always been available in hardwood flooring – the problem has always been that these additions can be very costly requiring expert installers and complicated, detailed work. Today, some manufacturers are offering pre-cut and even pre-assembled medallions that give you the same custom look at a fraction of the cost. With central air and heating systems, no flooring job is complete without floor vents and registers. 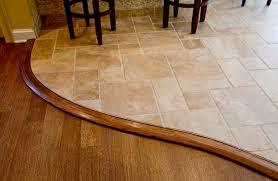 While these specialty products can be somewhat expensive, the look of a fully finished floor makes quite a statement. These are the pieces that bridge one type of flooring to another. Available in virtually every flooring style you can think of, transitions and moldings put a finishing touch on your floor while protecting edges in high-traffic areas like doorways and entryways. If you're replacing a floor, you may also have to consider replacing the baseboards, those trim pieces that line the bottom of the wall just above the floor. 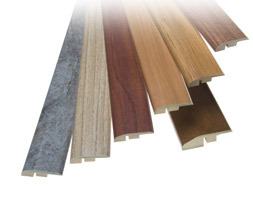 There are several styles to choose from in a variety of materials from solid wood and composite materials, to rubber and vinyl. 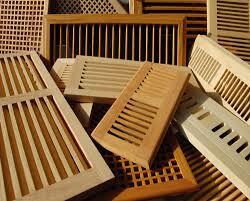 Real wood vents can be finished to match any hardwood floor. 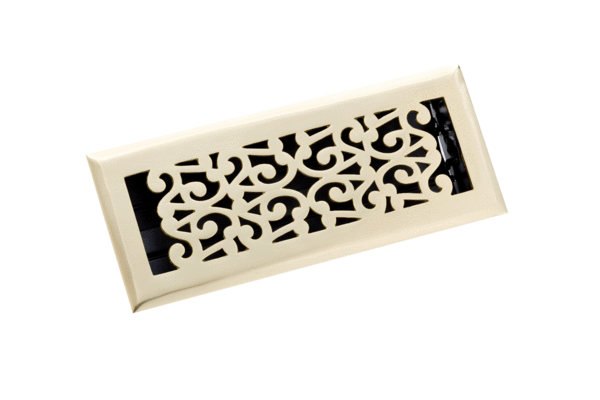 Vents come in a variety of materials. There are even flexible moldings that look like wood. Transitions take you from one room to another.